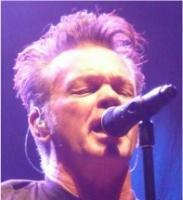 John Mellencamp Community > MELLENCAMP.COM ANNOUNCEMENTS > Announcements & Updates > Tavis Smiley Report! Loved these shows. Taped all of them on a PBS affiliate out of Buffalo (I'm in Canada) and it was great to see the new songs performed in such an intimate setting. Great work!! Can't wait to see the band in February on tour!